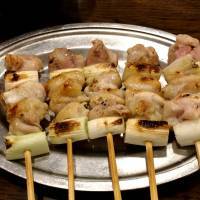 Yakitori is comfort food. No matter how high-end or low-rent the location, it’s all about the simple pleasures of chewing on grilled chicken and kicking back with a drink or a few. 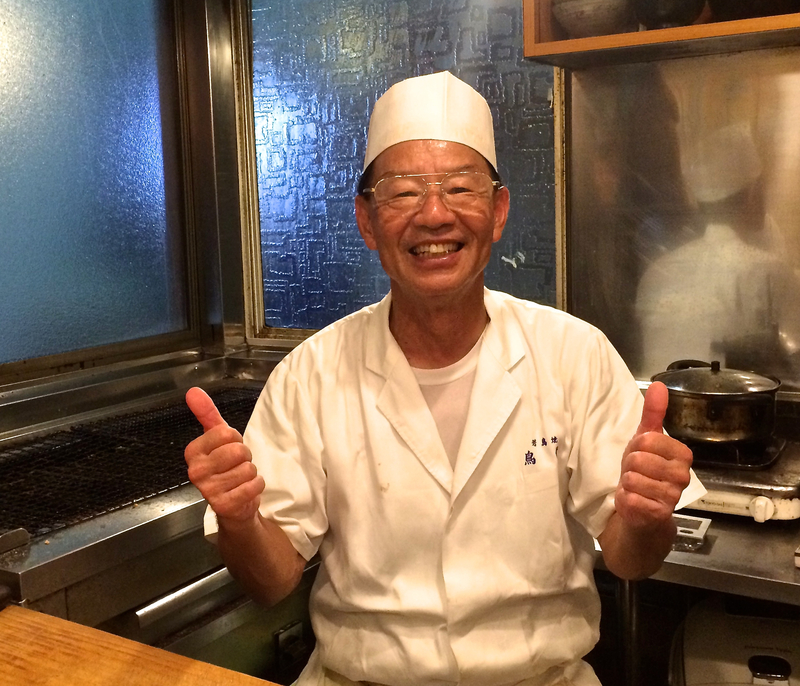 That’s the tried-and-true formula at Toriki. This unpretentious little place in suburban Hatanodai, Shinagawa Ward, boasts all the hallmarks of an old-school yakitoriya: a red paper lantern by the entrance; basic metal-and-glass sliding doors that open directly onto the compact dining room; and tables with squat stools where you rub shoulders and share drinks with your neighbors, whether or not you arrived with them. And yet Toriki is far from typical. It is bright and clean, and the air is free of cooking fumes. 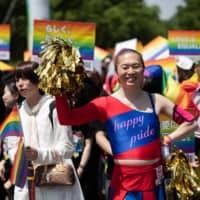 It also draws a wide demographic, from student groups to salarymen dining solo, shopkeepers and local families with children. The most crucial difference, though, is the chicken itself. Over the past three decades, veteran owner-chef Kunio Aihara has developed a style all of his own. 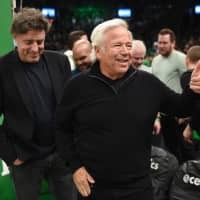 Instead of cutting the meat into morsels on skewers, he carves up whole birds, breaking them down into their component parts with a few deft flicks of his cutting knife. Wings, neck, skin, heart, gizzards, fatty tail meat or crunchy cartilage: everything goes straight onto the red-hot electric grill — so much easier to cook consistently on than charcoal, Aihara says — and is then served up on utilitarian metal plates without any frills or garnishing. 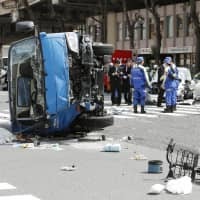 Don’t expect free-range brand-name jidori chicken here — Aihara needs to keep his prices accessible — but neither is it flabby factory broiler meat. He sources his poultry from farms where the young birds are reared indoors in special sterile chambers but allowed to move around. Their flesh is soft but firm, and Aihara uses little seasoning other than a sprinkle of salt. One of his specialties is tori-wasa: He lightly sears sasami breast meat until it is blanched white on the outside but still delicately rare at its core, daubing each morsel with a dab of piquant wasabi. 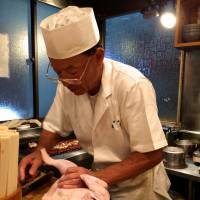 Another is his trademark momoyaki, made with chunks of juicy, well-grilled leg meat. 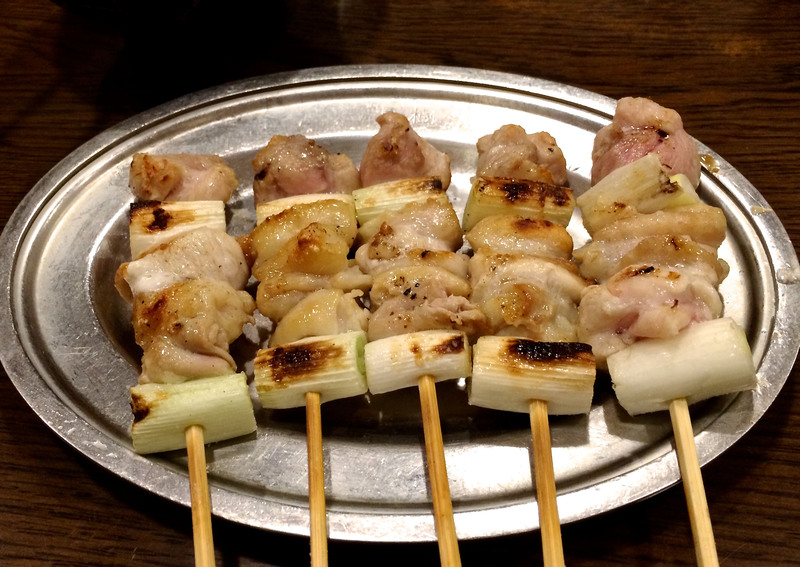 And don’t miss the negima, the classic yakitori combination of chicken and naga-negi (Welsh onion); one of the few items that he grills on sticks, Aihara says it’s the most popular item on his menu. 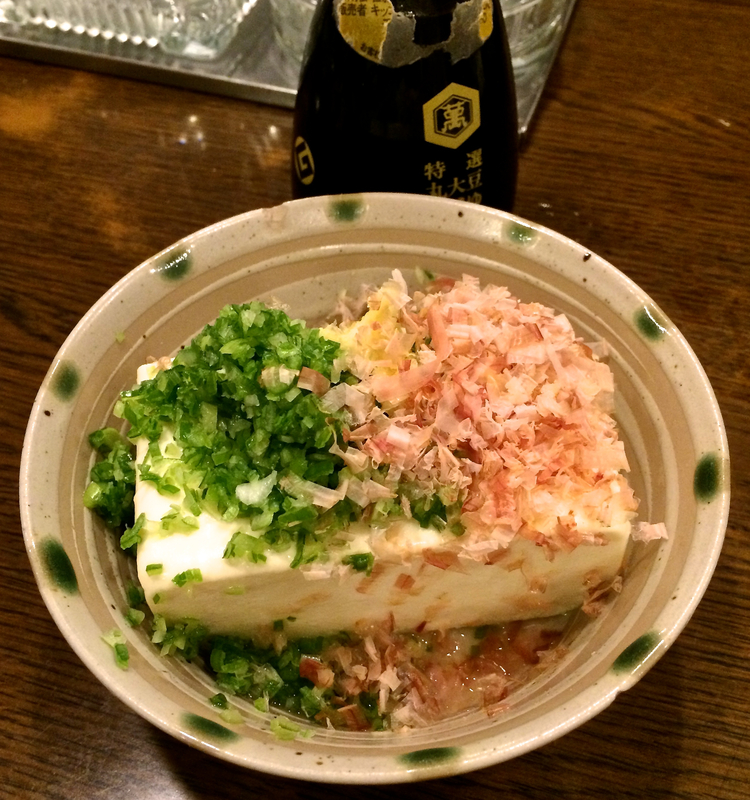 As a change-up from chicken, there is a small selection of side dishes, such as chilled tofu, onion slices or natto (fermented beans) served with a raw egg yolk for extra stickiness. 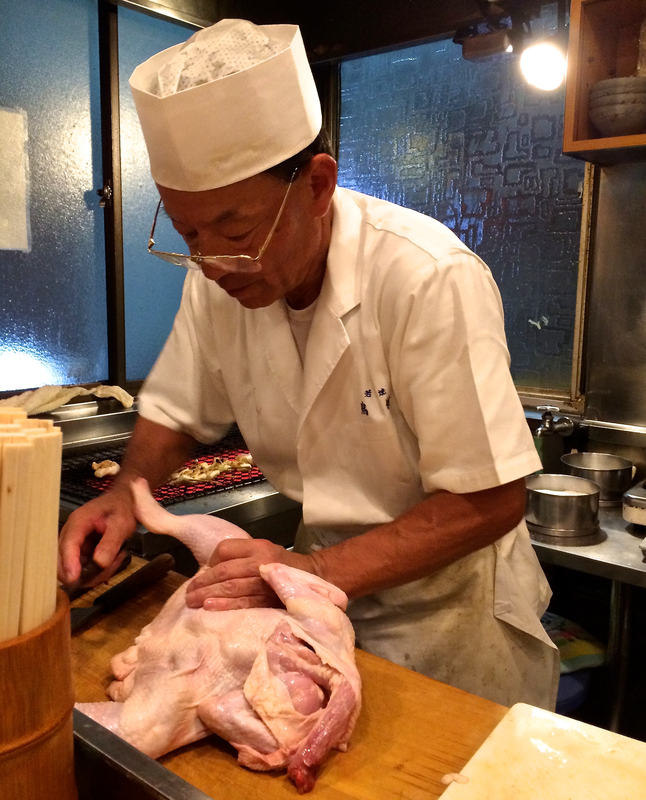 But it’s the chicken that has put Aihara on the map — and well beyond the immediate area. 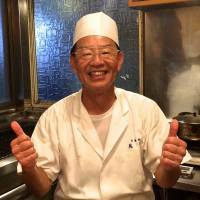 A few years back Aihara was featured by roving TV chef Anthony Bourdain on his series “No Reservations.” But that fleeting fame (still searchable on YouTube) hasn’t turned his head. 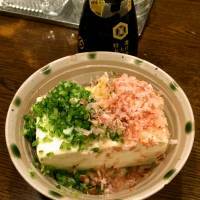 Even with the trickle of foreign customers who manage to make their way to Hatanodai, Toriki still remains the archetypal neighborhood restaurant. 3-11-13 Hatanodai, Shinagawa-ku, Tokyo; 03-3785-8472; www.toriki.jpn.org; open 5 p.m.-midnight; closed Sun., Mon. and holidays; nearest station Hatanodai; smoking permitted; dinner around ¥3,500/head (plus drinks); major cards OK; English menu; a little English spoken. Robbie Swinnerton blogs at www.tokyofoodfile.com.